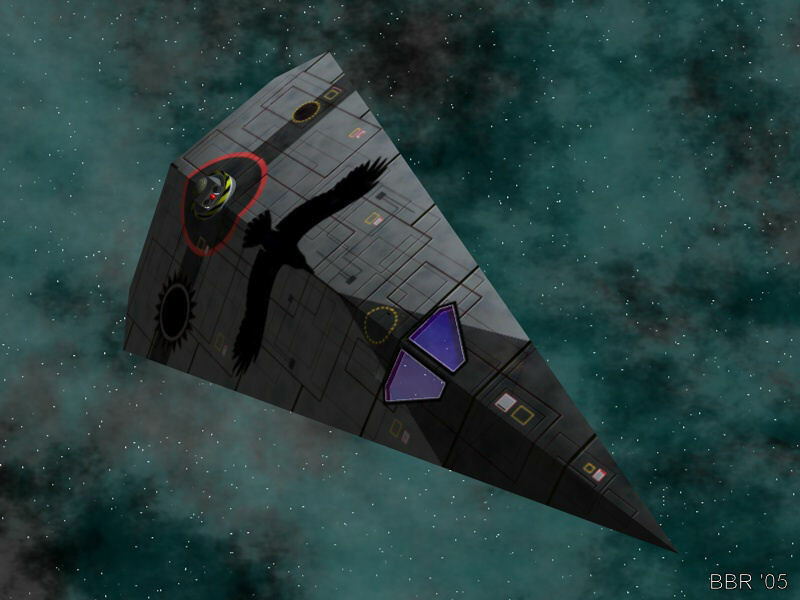 A heavily modified Type S scout/courier, the Black Crow carries state of the art sensors, avionics and weapons, all intended to serve the ship in its capacity as a special/covert ops vessel. From the RPoL game Traveller: As the Crow Flies. Image created with Cinema 4D and Paint Shop Pro 7.